Yesterday I noticed that I did not have a signature saved for my husband’s father, Gordon Charles Hall. Gathering the signatures of ancestors is one of my favorite things to do. I wrote a post about them, what they mean and where to find them back in December 2013. I knew that I had a box of “important papers” from my husband’s mother, Dorothy. I’ve gone through the box before. She loved to save things and was very neat and organized about it. Her sister, Delphine “Honey” Long, was the same way. Had I looked at every piece of paper in the box? I didn't think so. I retrieved the box from it’s place in the office closet. As I began to look for a piece of paper that would contain my father-in-law’s signature, I came across new and revealing items. TIP: Maybe it’s just me. But, when I find a box of “goodies” that has belonged to one of our family members I get pretty excited. It’s like you can’t look at everything fast enough and you can’t take it all in. Maybe you only go through some of it and then you get interrupted, distracted or have to take care of everyday life things. Whatever the reason, ALWAYS go back to these boxes and make sure you’ve properly inventoried every item. By inventory, I mean scanned and saved to your computer and added to your software database. Among the many envelopes in Dorothy’s box was one from San Diego Federal Savings & Loan with this written on it – “all papers for 4634 67th including trust deed & title insurance.” The envelope was postmarked 31 Mar 1959 and addressed to Mr. and Mrs. Gordon C. Hall. As I went through this one envelope, I did find Gordon Hall’s signature. While I was at it, I also found Dorothy’s. Realizing I hadn’t saved her signature yet, I scanned, cropped, saved and added them to my Legacy database. Then I began to look inside other envelopes in the box. I found Gordon Hall’s dog tags from World War II and other important papers relating to his service to our country. I sat down with my husband and we looked at several items. He reminisced about his parents and we smiled at some of Dorothy’s entries in her date books. I will share more about those in another post. Today I plan to continue to go through this box and take care of what I started months ago, when I first located this box while cleaning out the office closet. Life does have a way of distracting us. But, sometimes, it’s twice the fun when you go back and find treasures you didn’t find the first time. We all have them. Photographs needing restoration that have been passed down from our parents, grandparents or even further back. In some cases we may have more current photos that need repair. I have used a professional restoration service, a family member who has talents and myself, in order to correct/fix these photos. For the very simple ones my own talents with Microsoft Office 2010 Photo Editor work fine. I even use Paint and Photo Shop Elements for some repairs. However, when it comes to the tough jobs I have to ask for help. To say I was pleased goes without saying. These are old photos and the third is a tintype. 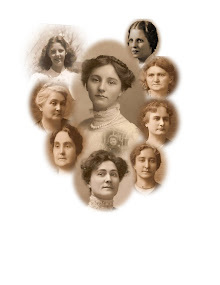 These are direct line ancestors and having these photographs of them is wonderful. Being able to actually see the people in the photographs, even better. The other person I have asked to help me with photographs is my brother, John. He does not restore photos professionally, but he is quite good at it and he enjoys it. Here is an example of one he did just this past week for me. I needed to include this photograph in my recent Amanuensis Monday blog post and he really helped me out. Thanks John! Please tell me about any of your experiences with photo restoration. Disclaimer: I have no affiliation with, nor get any remuneration from Hartworks Photo Restoration & Graphic Design. I make no claims and give no guarantee on the quality of work you may receive. I claim no responsibility for the outcome of any services rendered by Hartworks. The name Fink comes from my husband’s side of the family. His mother’s maiden name was Fink. I’ve been fortunate to have known many of the Fink family members during our marriage. We’ve lost quite a few of them in recent years, but their memory lives on in children, grandchildren, nieces and nephews. This has been a difficult family to trace. A cousin (whom we recently lost) was also doing family research and had difficulty tracking down early Fink records. I was able to interview my husband’s Aunt, Delphine Irene “Honey” Fink Long (1919-2011) and she did provide me with some information. Here is what I know up to this point. George August Fink was born about 1863, possibly in New York, died between 1892 and 1900. Married Barbara Ludwig 16 Nov 1892 in Buffalo, Erie, New York. 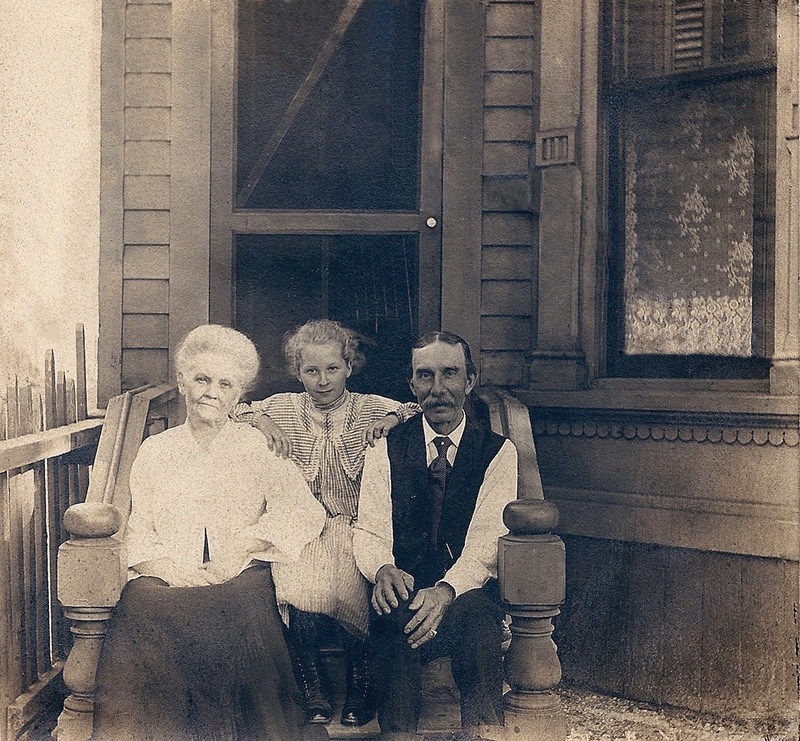 Barbara was born 13 Jan 1863 in Germany and died 5 Jul 1935 in Buffalo, Erie, New York. George and Barbara had one child, their son, Henry August Fink, born 14 Jan 1893 in Buffalo, Erie, New York, died 17 Jan 1954 in San Diego, San Diego County, California. 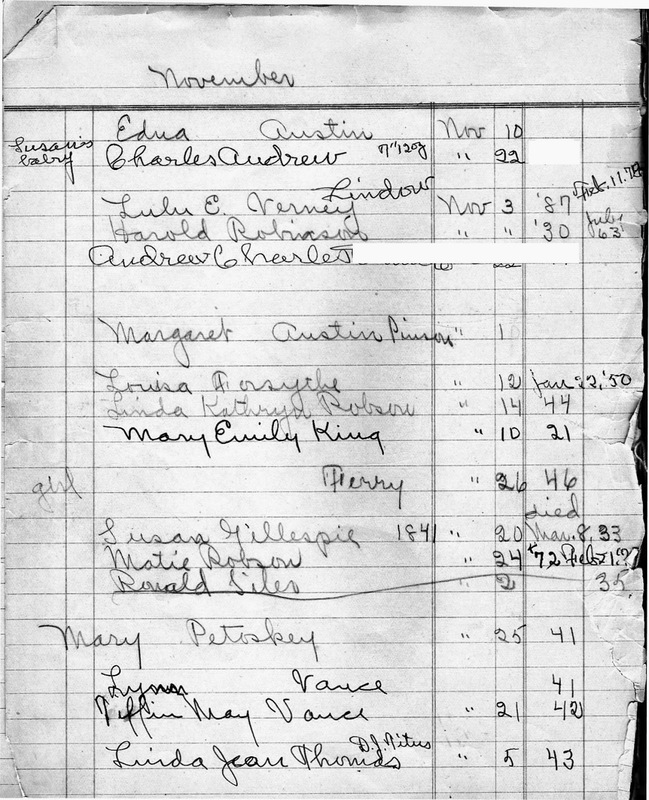 Henry married Freada Emma Doller on 8 Oct 1911 in Fort Erie, Welland, Ontario, Canada. Freada was born 24 Aug 1895 in Buffao, Erie, New York and died 1 Mar 1981 in San Diego, San Diego County, California. 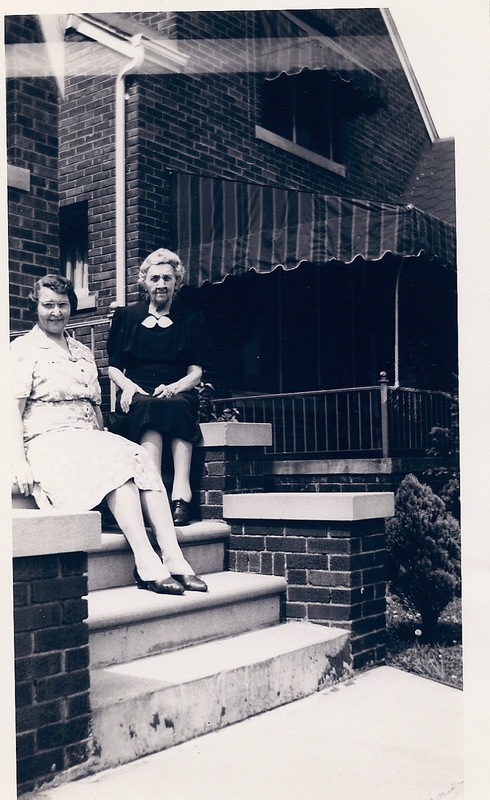 Henry & Freada grew up in Buffalo, New York. In 1935 they moved their family (which included their four children), to San Diego, California. Here is Freada as a young girl & with her grandson, Ron. Dorothy Beatrice Fink 1913-1993, married first Floyd O. “Ted” Brown and second Gordon Charles Hall 1917-1966. Dorothy & Gordon are my husband’s parents. 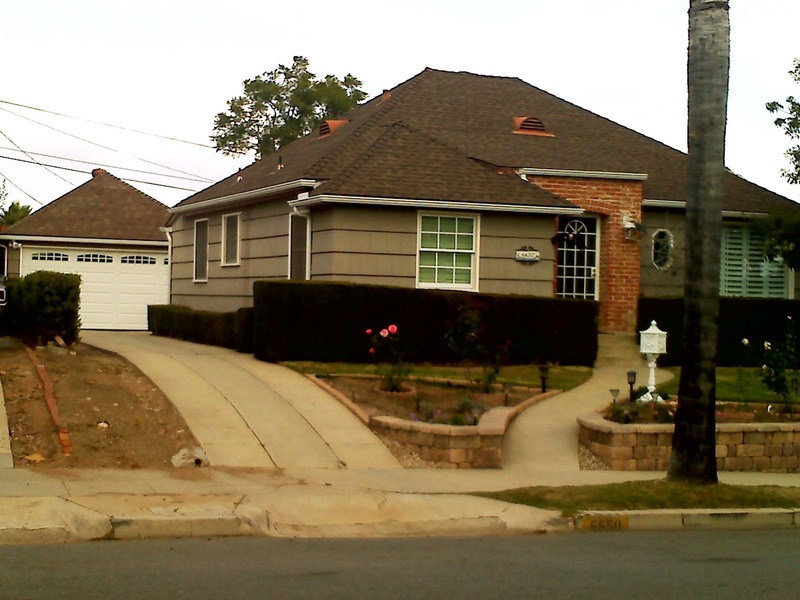 This is the Fink home on Shannon Drive in San Diego, California. Henry and his sons and daughters had worked at Consolidated back in Buffalo, New York and transferred to San Diego. They were the largest family group to work at the General Dynamics Plant in San Diego. Their was an article, including a group photo, of them in the San Diego Union Tribune newspaper. Left to right in this photo are: Floyd “Ted” Brown (husband of Dorothy Fink), unknown male, Willard Fink, Elwood “Al” Fink, Dorothy Fink, Delphine “Honey” Fink and their Dad, Henry August Fink. Henry & Freada Fink are buried at Mt. Hope Cemetery here in San Diego. You can find their memorials here on FindAGrave #31820256 and #31820183. Each of their children are linked to their memorials. There is so much more that I want to learn about the Fink family. I need to learn who George Fink and his wife, Barbara Ludwig’s parents were. When did Barbara come over to the United States from Germany? So many questions. Maybe I’ll get some answers this spring when I make a trip to the Family History Library in Salt Lake City?